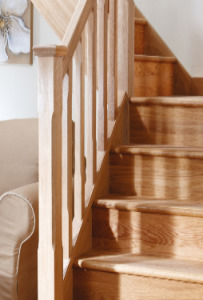 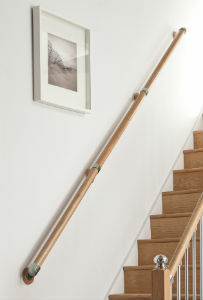 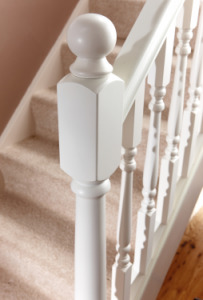 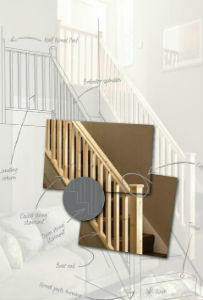 Transform your home with our extensive range of stair parts. 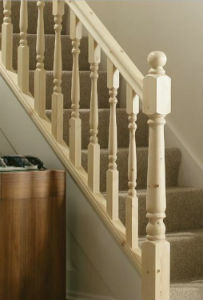 Choose from Pine, Oak, Hemlock and pre-painted white. 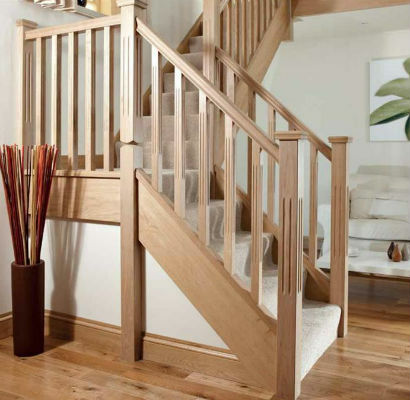 Our skilled sales team have extensive joinery experience and can guide you with what you’ll need to produce a great job. 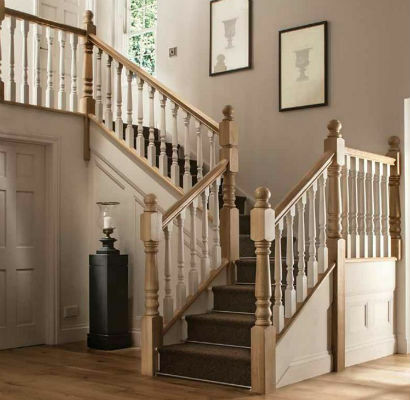 Available in up to the minute modern styles incorporating pre finished round handrails with glass or chrome spindles and steel fittings or traditional turned spindles with barley twist or fluted timber newel posts for a grand period look.